During the holidays, we’re often looking for simple recipes that will feed a crowd…this is one of those recipes. It’s nothing fancy but it’s a basic recipe with lots of big flavor. Adding favorite toppings like, onions, green peppers or olives can personalize this dish to match your family’s tastes. Crushed red pepper adds a little spice and adding a varied selection of cheeses can add depth to the flavor. Give this one a try and make it your own. Preheat oven to 350 degrees. Spray with cooking spray, a 13X9″ baking pan. Bring a large pot of salted water to a boil. Add spaghetti and cook for 8 to 10 minutes or until al dente; drain and cool. In a separate bowl, beat the egg, add milk, 1/2 cup of the mozzarella cheese, salt and garlic salt. Stir in cooked spaghetti, mix well. Spread mixture evenly into baking dish. Bake for 15 minutes. Remove from oven and spread sauce over spaghetti. Sprinkle with oregano, basil and the remaining 1 1/2 cups mozzarella cheese. 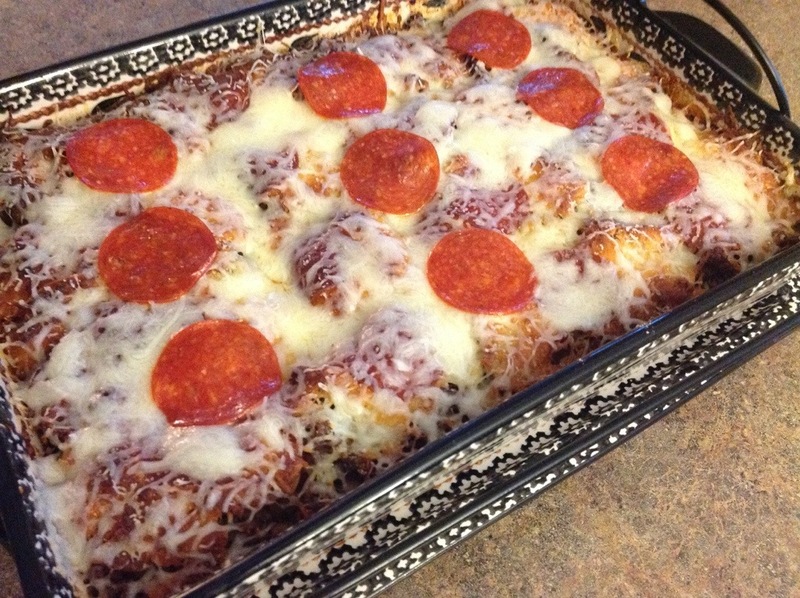 Top with pepperoni, return to oven and bake for 30 minutes. Let cool for 5 minutes before slicing. Note: For an extra hearty twist, add 1 lb. browned ground beef or Italian sausage to the spaghetti sauce before spreading over pasta. Just naughty! I make baked spaghetti with cheese on top and call it Spagansa. Never thought about putting pepperonis on top. YUM! 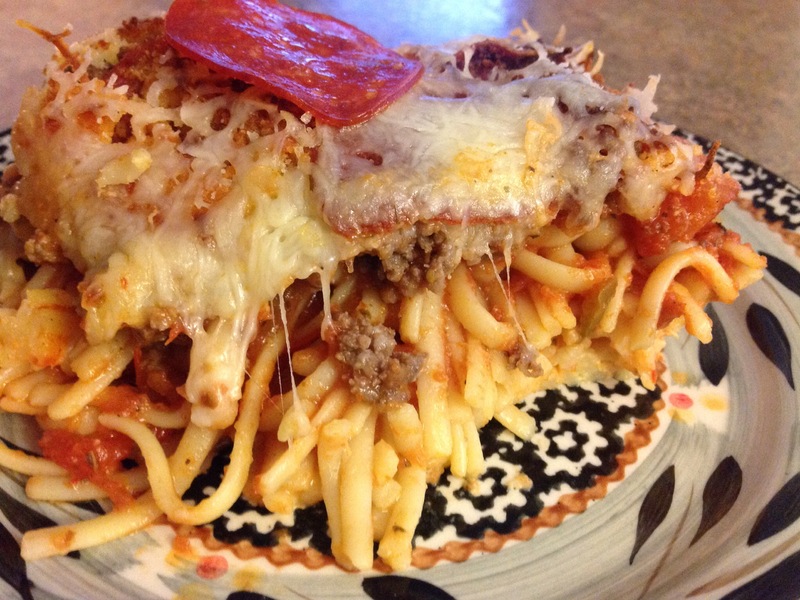 Great idea… And you are right, lots of carbs and cheese in this dish but I have a houseful of swimmers that really enjoy this dish the day before a big meet. Thanks for your valued comment… Happy Holidays! Haha! Great comment! Have a good day! Thank you for liking my post! I can’t wait to try some of your recipes! They look delicious! My pleasure… Looking freaked t more of your wonderful posts as well! I’m going to have to try this! This looks so yummy! It’s a crowd pleaser, April…just made it again last night and everyone was happy! It looks toothsome , thanks for sharing . You’re very welcome, thanks for stopping by!